Works on Paper is based on the idea of knowledge - how we in everyday life consume and relate to knowledge production as well as how we interact and connect with others while sharing knowledge. 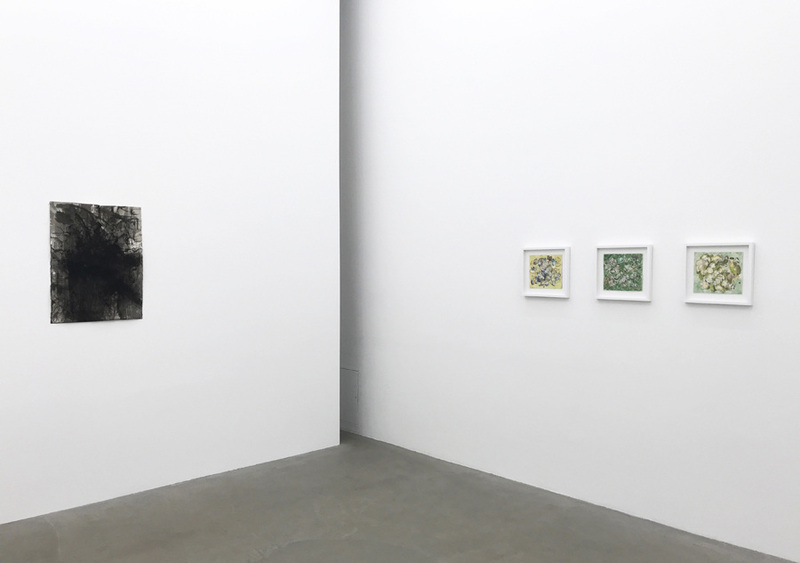 The group show includes works on paper by the American artist Amy Feldman, the Australian-based Malaysian artist Simryn Gill, the two Norwegian artists Ann Iren Buan and Ellisif Hals as well as the three Swedish artists Leontine Arvidsson, Hertha Hanson and Olof Inger. Leontine Arvidsson (1974) born in Gothenburg, lives and works in Stockholm. Arvidsson has a BFA and a MFA from the Royal Institute of Art in Stockholm. Previously, she has shown work at Vestfossen Kunstlaboratorium, Oslo (2017), ANNAELLEGALLERY (2017, 2015), Chart Art Fair, Copenhagen (2015), Market Art Fair (2015), Galleri Arnstedt (2015), Waldemarsudde (2014), Tempo dokumentärfilmsfestival, New Doc och Tempo Short Award, in Stockholm (2014), Haninge Konsthall (2013), SL Openplan Subway Station (2013), Berlinale shorts, Berlins 63 International filmfestival (2013), International Film Festival Rotterdam, FEMINA -International Women's Film Festival in Rio de Janeiro (2013), , among others. Arvidsson was been awarded Hötorget Art Grant 2014, Bærtling Foundation Scholarship 2014 and Marianne och Sigvard Bernadotte's Art Grant 2015. Ann Iren Buan (1984) lives and works in Oslo, Norway. In 2011, Buan received her BFA and MFA from Oslo National Academy of the Arts, Norway, as well as a BFA Exchange from China Academy of Art, Hangzhou China and The Royal Institute of Art, Stockholm Sweden. She has shown her works at Prosjektrom Normanns, Stavanger Norway (2017), Oslo City Hall, Oslo Norway (2017), Trafo Kunsthall, Asker Norway (2016), A Palazzo Gallery, Brescia Italy (2016), Stavanger Art Museum, Stavanger Norway (2016), Gallery F15 Moss (2015), Kunstnerforbundet, Oslo, Norway (2015), The Astrup Fearnley Museum of Contemporary Art, Oslo, Norway (2015), among others. She is the recipient of residencies such as Oslo City Hall Residency for emerging artists (2015-2017) and Circolo Scandinavo, Rome (2012-2013). In 2018 she will have solo exhibitions at the Vigeland Museum, Oslo and at OSL Contemporary, Oslo. Amy Feldman (1981) received her BFA from the Rhode Island School of Design in 2003 and MFA from Rutgers University in 2008. Recently, she has shown her works at James Cohan Gallery (2017), Blain|Southern, Berlin (2017), Riot Grrrls, Museum of Contemporary Art Chicago (2016-2017), Kunstmuseum, Bonn, Germany (2015), Brand New Gallery, Milan (2015), Museo Britanico Americano, Mexico City (2015), ANNAELLEGALLERY, Stockholm, Sweden (2015, 2013), Arndt Singapore (2015), Blackston, New York, NY (2014), Sorry We're Closed, Brussels, Belgium (2014), New Britain Museum of American Art (2014), Musée d'art Moderne, St. Etienne, France (2014), The Academy of Arts and Letters, New York, NY (2013), Abrons Art Center, New York, NY (2013) Gregory Lind Gallery, San Francisco, CA (2013), among others. She is the recipient of numerous awards, residencies, and grants including the Joan Mitchell Foundation Grant (2013), the Marie Walsh Sharpe Residency Fellowship (2012), the Robert Motherwell Fellowship at the MacDowell Colony (2011), a Yaddo Residency Fellowship (2011), the VCUarts Fountainhead Fellowship (2008-09), and a Skowhegan School of Painting and Sculpture Fellowship (2009). Feldman's work is in the permanent collection of the Museum of Contemporary Art (MCA) in Chicago, IL. Simryn Gill (1959) lives and works in Port Dickson, Malaysia and Sydney, Australia. Recent solo exhibitions and group exhibitions include Lunds konsthall, Lund (2017), Museum of Fine Arts, Ghent, Beligium (2016), BOZAR, Brussels, Belgium (2016) Shanghai 21st Century Minsheng Art Museum, Shanghai, China (2016), Tracy Williams Ltd, New York (2015), NTU Centre for Contemporary Art, Singapore (2015), M+, West Kowloon, Hong Kong (2015), Museum of Contemporary Art, Sydney, Australia (2015), Australia's representative at 55th Venice Biennale (2013), dOCUMENTA 13, Kassel, Germany (2012), ANNAELLEGALLERY, Stockholm (2012), 12th Istanbul Biennial, Turkey (2011), Kunsthalle Bern, Bern, Switzerland (2010), Sharjah Biennial, UAE (2010), Modern Art Oxford, Oxford, FR (2010), the Centre for Contemporary Photography, Melbourne (2009), Museum of Contemporary Art, Sydney (2008), Biennale of Sydney (2008), Campbelltown Arts Centre, Campbelltown (2007), dOCUMENTA 12, Kassel, Germany (2007), the National Arts Centre, Tokyo, Japan (2007), the Tate Modern, London (2006), among others. Ellisif Hals (1981), born in Norway but lives and works in Malmö, Sweden. In 2006, Hals received a BFA from Konstfag at Oslo National Academy of Art, Norway. Previously, she has shown her work at Galleri Arnstedt, Östra Karup (2017), Bonnier Konsthall, Stockholm (2016), ANNAELLEGALLERY, Stockholm (2016, 2014), Mekens, Smedjebacken (2016), Galleri Thomas Wallner, Simrishamn (2016), Pumphuset, Landskrona (2014), Ystad Konstmuseum, Ystad (2011), Galleri Ping -Pong, Malmö (2011), among others. In 2014, she received a grant from the Maria Bonnier Dahlin Foundation, and presented a body of work at the Bonniers Konsthall, Stockholm in association with the grant. In 2017, Hals was awarded Marianne och Sigvard Bernadotte's Art Grant. Hertha Hanson (1980) lives and works in Karlstad, Sweden. In 2009, she received an MFA from Malmö Art Academy. Her work has previously been shown at ANNAELLEGALLERY (2017, 2014, 2012), Vargåkra Gård (2017), Galleri Thomas Wallner, Simris (2017), Moderna Museet Malmö (2016), Kristinehamns konstmuseum (2015), Luleå Konsthall (2011), Malmö konstmuseum (2010), Lund Konsthall (2010), Galleri Arnstedt (2010) etc. Hanson has received numerous awards such as Edstrandska Foundation 2017, Kristinehamns Artist Award, Ellen Trotzig, Fredrik Roos, and Bror Hjort. Olof Inger (1979) lives and works in Stockholm, Sweden. Inger received a BFA at the Royal Institute of Art, Stockholm in 2012 and an MFA at Yale University, USA in 2014. Recently, Inger has showed his works at ANNAELLEGALLERY, Stockholm (2017, 2015, 2013), CHART Art Fair, Copenhagen (2016), LOYAL, Stockholm (2015), ZONA MACO, Mexico City (2014), Miguel Abreu Gallery, New York (2013), MARKET ART FAIR, Stockholm (2013), Gallery 109, Brooklyn (2012), Ribordy Contemporary, Genève (2012). In 2013, he received a grant from the Maria Bonnier Dahlin Foundation, and presented a body of work at the Bonniers Konsthall, Stockholm in association with the grant. Additionally, in 2012 Inger was awarded the Beartling Foundation art grant.